Six weeks after my skiing accident, I finally received the go-ahead from my Physical Therapist to ride my bike outside. The only form of cardio I’d been able to manage for the last month and a half had been gentle spinning on the bike trainer that’s taken up residence in our living room. The only form of cardio our Border Collie mix puppy, Cinder, has been able to manage has been running with Andy and near-daily zoomie sessions in our backyard and in any open space I could drive to. 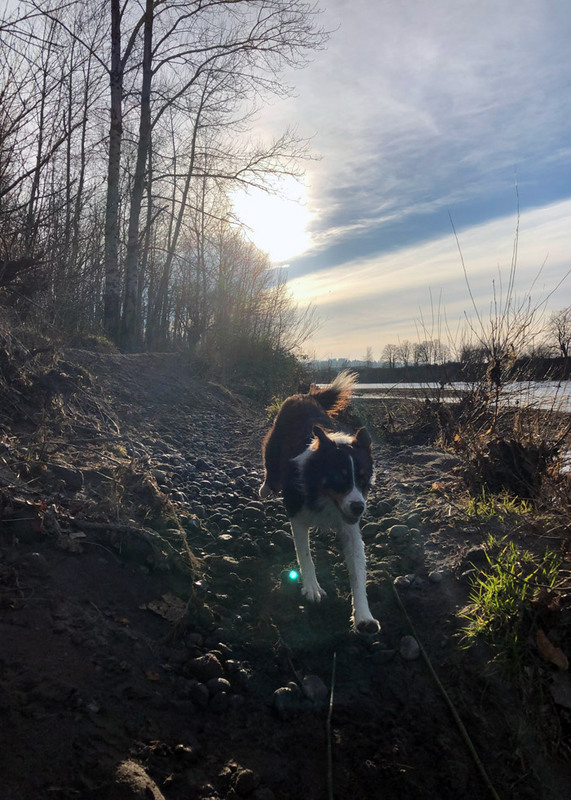 After crutching my way to and from the field near my house, Cinder leaping by my side, I was ecstatic to look for a place where we could go exercise together. 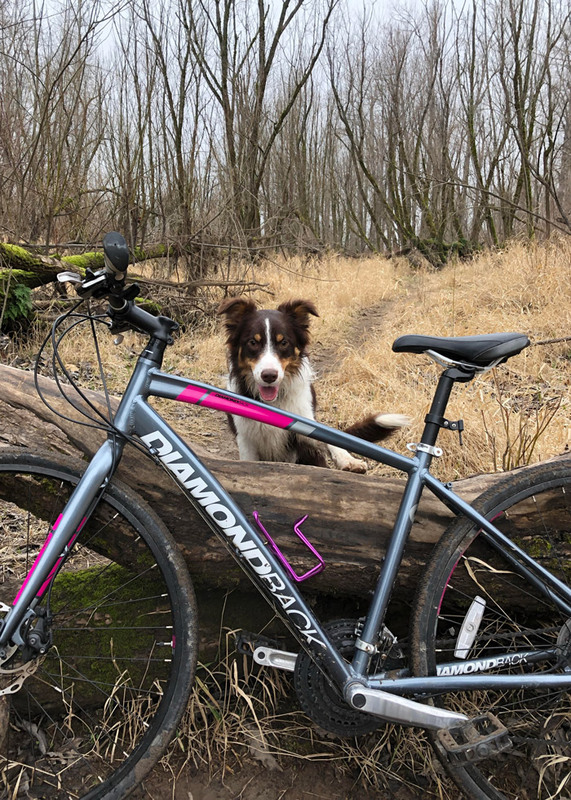 An avid rule-follower, I started researching places within easy driving distance of Portland where she could *legally* be off-leash while I rode around. 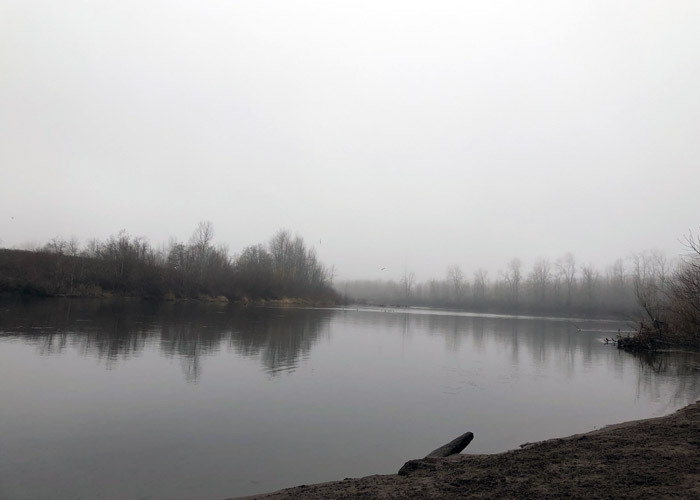 The Sandy River Delta was at the top of every query I ran in Google. 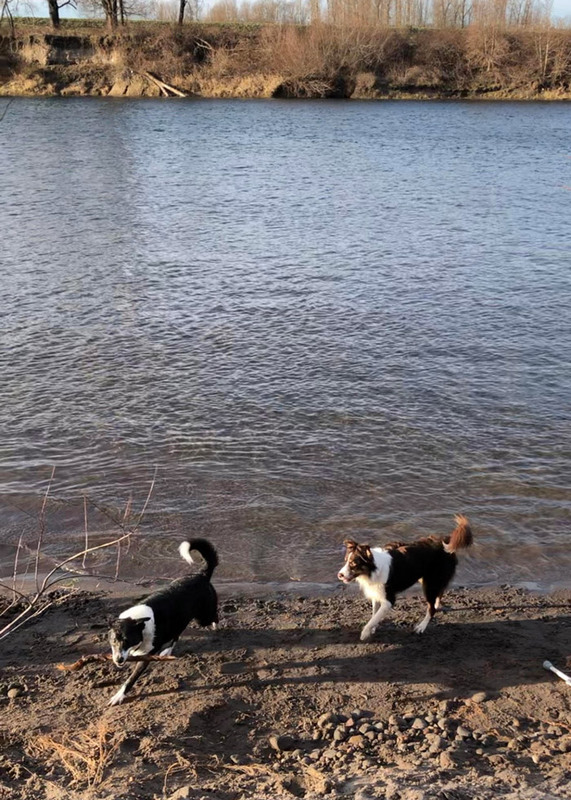 Nicknamed the “1000-acre dog park,” this mecca for dog owners is 20-25 minutes east of Portland (without traffic). Parking is terrible if you try to arrive during a peak hour (like noon on a weekend day like I did the first time I went there) but before 10am and after 2pm, it’s relatively easy to find a place to park near the main lot. As soon as I got out of my car, bike packed in my trunk and Cinder whining in excitement next to me, I was greeted by the sounds of hundreds, and I mean literal hundreds of dogs, barking and whining in the surrounding acreage. For a disgustingly happy dog lover like me, that sound brought pure joy to my heart. I quickly assembled my bike, grabbed biodegradable poop bags, threw on my helmet, and unloaded Cinder. Dogs are required to be on leash in the parking lot and within 100 feet of each entrance/exit to the park (this makes sense given how much traffic rolls through in a given day). I rolled my bike up one pathway and as soon as we were far enough away, unclipped Cinder’s leash. Immediately, ecstatic mayhem ensued. I pedaled from pathway to pathway, sticking to my low gears, as instructed by my PT, and carefully walking my bike up and short hills or embankments that were too steep for me to ride on. Cinder stuck predominately to my rear tire or directly to my left, darting happily in the direction of nearly every dog we encountered so she could say “hiiiiiiiiii!” before catching back up to me. Most of the trails are lightly graveled and, on the days that I went, the dirt sections were not muddy enough to be much concern. 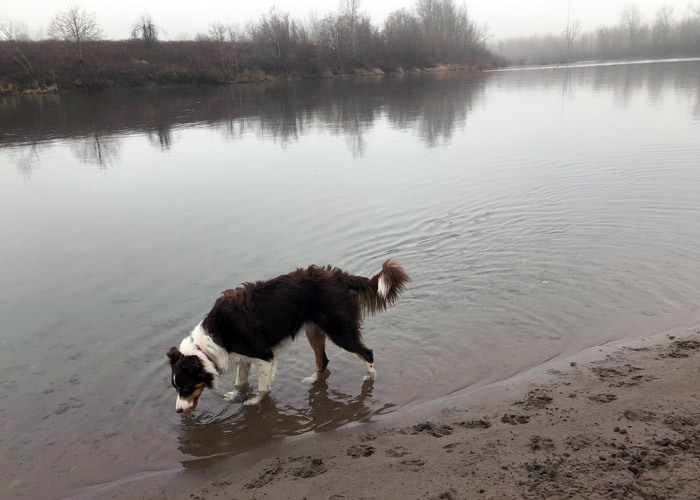 We rolled along the flanks of the Sandy River, Cinder chasing and making bubbles in the water, and me laughing at the more water-savvy dogs that were launching themselves in and out of the shallow water. With multiple beachy sections to explore, we never came upon an area that felt too crowded or overwhelming.